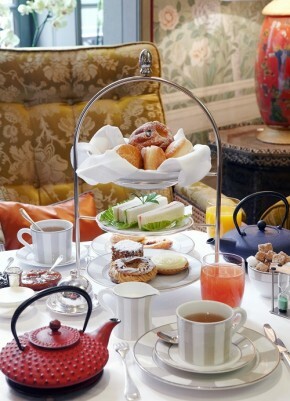 While in Paris, every woman must experience an afternoon tea. There are many lovely venues in which to do so. It's a pretty place, quite large but a little stuffy if you're stuck in the back. Try for a window seat. My preference; The Angelina tea accompanied with an Olympe, a macaron biscuit with candied violet, strawberry and raspberry sweet jelly, violet cream and fresh raspberries... I am salivating as I type. It is almost too pretty to eat, and definitely as good as it looks. A little bit of history: tea at The Ritz was the first occasion in France where it was socially acceptable for a woman to be in public without her husband. Fascinating! Over the years having tea at The Ritz remains a special occasion, as it was for me and my friend Andrea. When making reservations, ask for the seat in front of the fireplace. 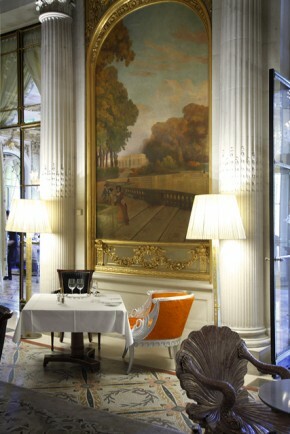 The lobby lounge at Le Meurice Palace Hotel, Restaurant le Dali offers a très chic environment for an afternoon tea experience. After a day of shopping on rue Saint Honore, nothing could be better than spoiling your self with ultimate luxury at Le Meurice. On my last trip to Paris, my girlfriend and I sat at the Ladurée le Bar, on Champs Élysées, and ordered macaron after macaron after macraon! After our tummies were jam packed we finally managed to tear ourselves away. It has become quite popular over the years and when you go you'll know why. 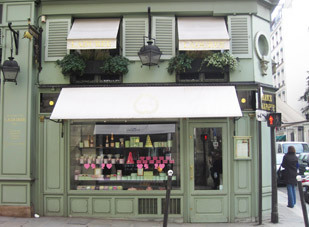 There are three locations, my favorite being Ladurée Bonaparte on 21 rue Bonaparte in the Saint Germain-des-Prés district. 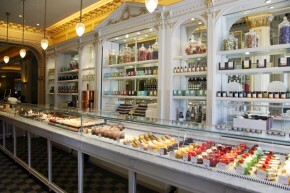 They are all so beautiful, however Ladurée Bonaparte is a little quieter and less busy than the other two, which are located at 75, avenue des Champs Elysées and 16, rue Royale. If you are only interested in take away then go first thing in the morning to avoid lines. 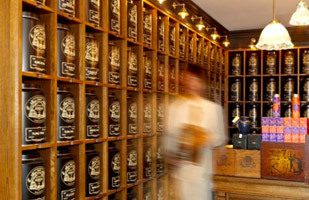 For the serious tea enthusiast, Mariage Frères is literally... your cup of tea! 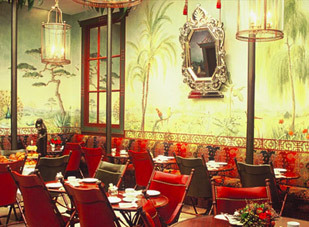 Dating back to 1854, you will see that this establishment takes tea very seriously. Quiet and simple, yet classic, their tea rooms are located at 30 rue du Bourg-Tibourg and 17 place de la Madeleine. When a friend invited me for tea at Hôtel Daniel I had to think about it for approximately one second: "Yes, I am coming!" I quickly replied. From the images I had seen on their website I was somewhat prepared for what to expect; however, upon walking through the front door I was immediately hit by its charm. "It's beautiful!" I announced to anyone who was listening. After a brief tour of the exquisite boutique hotel, Antoinette and I sat down for tea. I placed the napkin on my lap and prepared for a little feast. The precious desserts, provided by Pâtisserie des Rêves, were all lined up on a tray in front of me. With my manners intact I tried several – a conveyor belt would have been most convenient. After devouring wonderful mini-sandwiches, scones and other sweet delicacies my tummy was at full capacity. My mother would have loved it! 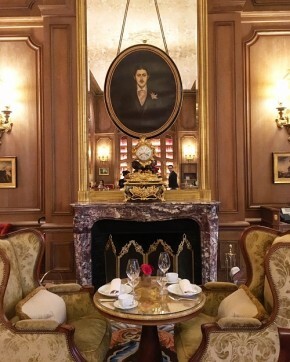 The next time we are in Paris together I will treat her to tea at Hôtel Daniel.